Looking for a veggie forward dish for your next barbecue? 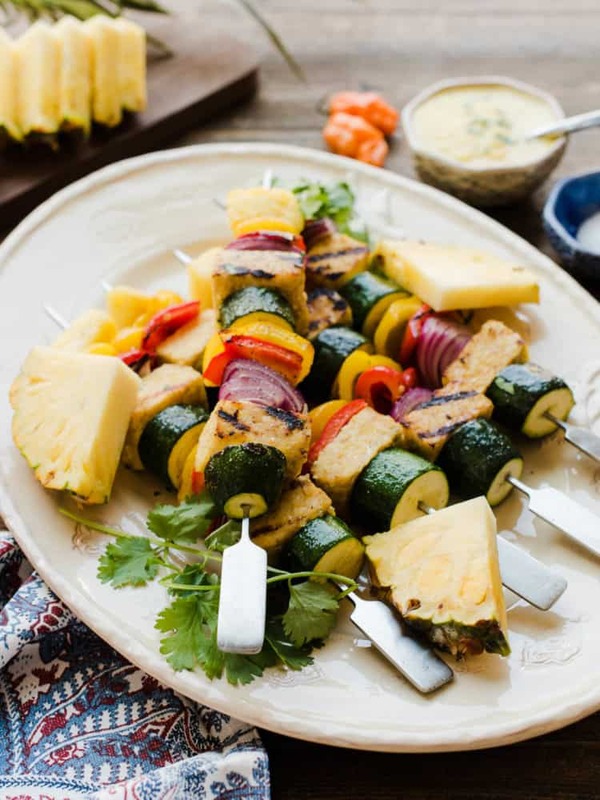 You’ll love Grilled Tempeh and Vegetable Skewers with a Habanero Pineapple Sauce. Looking for a veggie forward dish for your next barbecue? 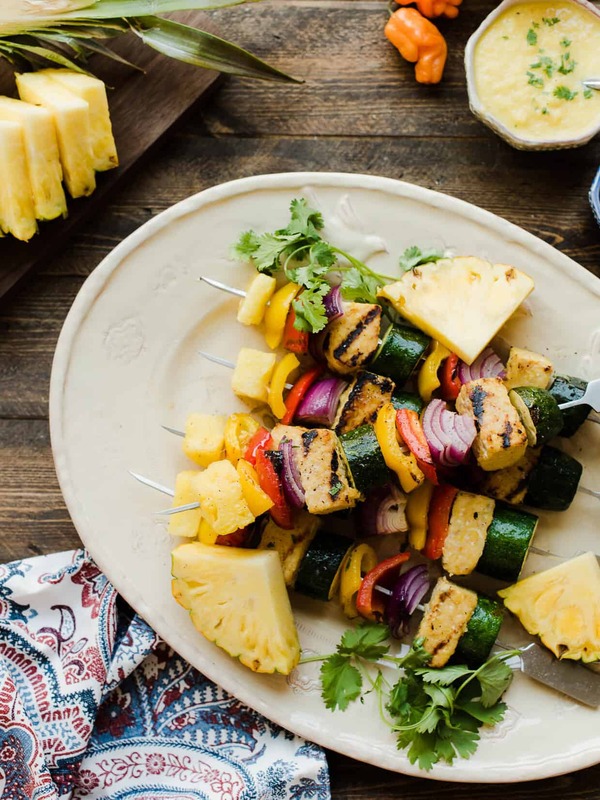 You’ll love Grilled Tempeh and Vegetable Skewers with a Habanero Pineapple Sauce. This post is brought to you in partnership with I Can’t Believe It’s Not Butter! So, can someone tell me how it’s already August? Wasn’t it just yesterday that summer arrived and all I could talk about was kicking off grilling season? Well, don’t panic, because summer is not over yet. And even though I feel blessed to live in California, where I can grill nearly year round, I am convinced that I would still find a way to grill, even if it’s on a grill pan indoors or under the broiler! Luckily, we have a few more months left before we have to worry, which means it’s time to squeeze in as many barbecues as we can before the cold, rainy days return! What do you have planned for your next summer cookout? 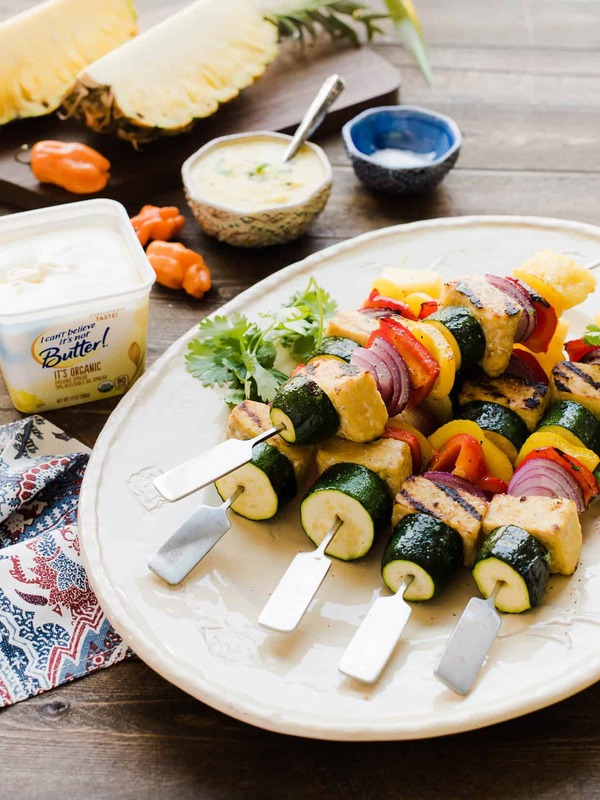 If you’re looking for a delicious and unique take on veggie skewers, you’ll love these Grilled Tempeh and Vegetable Skewers with Habanero Pineapple Sauce that I made with I Can’t Believe It’s Not Butter!’s new It’s Organic buttery spread! If you remember, I tried their It’s Vegan buttery spread when I made stuffed summer squash. 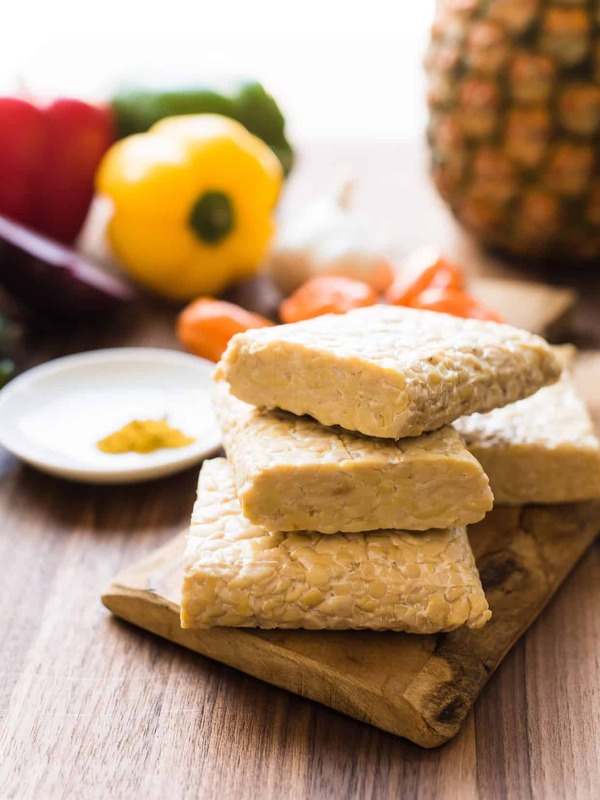 This time around, I used It’s Organic and I loved how it added so much flavor to the habanero pineapple sauce that I marinated the tempeh and vegetables in. I especially love that It’s Organic is USDA Certified Organic and non-GMO Certified. It works beautifully in this recipe, from using it to sautéing the ingredients in the sauce to adding flavor on the grill! 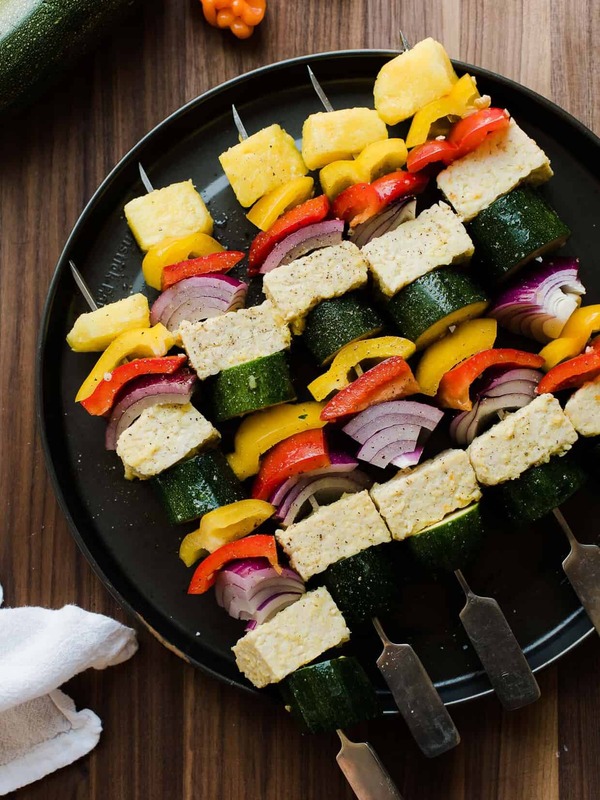 Whether as a side dish or as a vegetarian barbecue entrée, I’m willing to bet that these grilled tempeh and vegetable skewers will steal the show. Everything’s more fun on a stick, right? Find more recipe inspiration at I Can’t Believe It’s Not Butter! 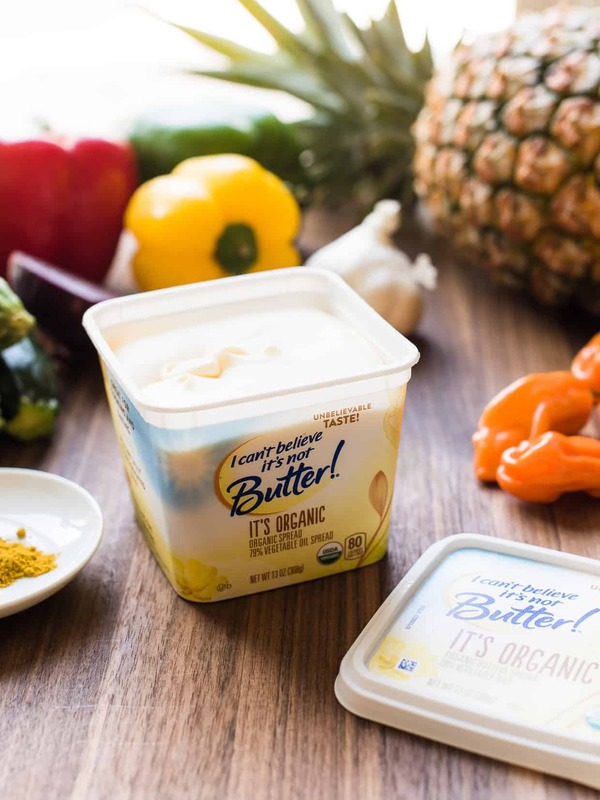 Disclosure: This post is brought to you in partnership with I Can’t Believe It’s Not Butter! Thank you for supporting brands that matter to me; sponsored posts such as this help behind the scenes at Kitchen Confidante. All opinions in this post are, as always, my own. Looking for a veggie forward dish for your next barbecue? You’ll love Grilled Tempeh and Vegetable Skewers with a Habanero Pineapple Sauce. The sweet and spicy sauce adds a flavorful kick to your next barbecue! Using a food processor or blender, pulse the onion and garlic until very finely chopped and set aside. Add the habanero and pineapple to the food processor and pulse until finely chopped. Set aside. In a small saucepan, melt I Can’t Believe It’s Not Butter! It’s Organic over medium-low heat. Add onion and garlic and sauté until transparent. Add the pineapple and habanero, honey, apple cider vinegar, curry powder, and salt. 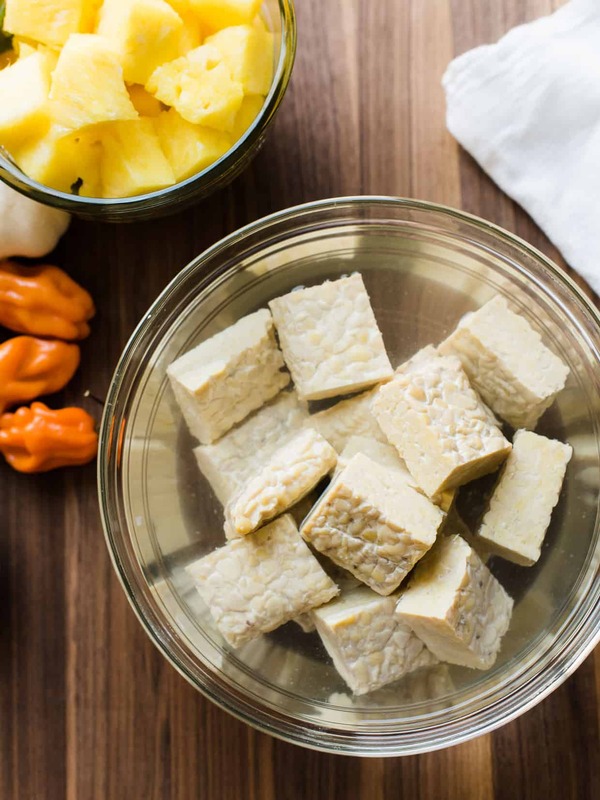 Place tempeh into a bowl and cover with boiling water. Let it sit for about 5-10 minutes, then drain. 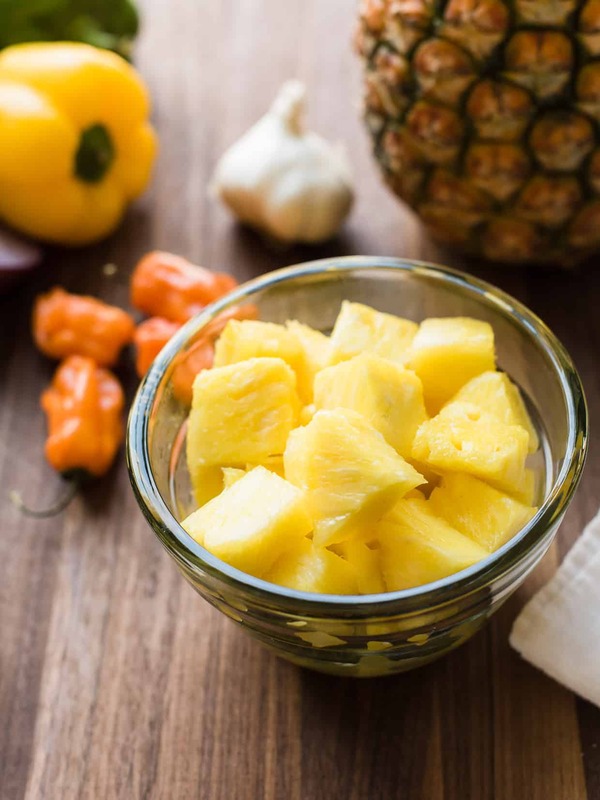 Stir in 1/4 cup of the habanero pineapple sauce and marinate for at least 15 minutes or overnight. 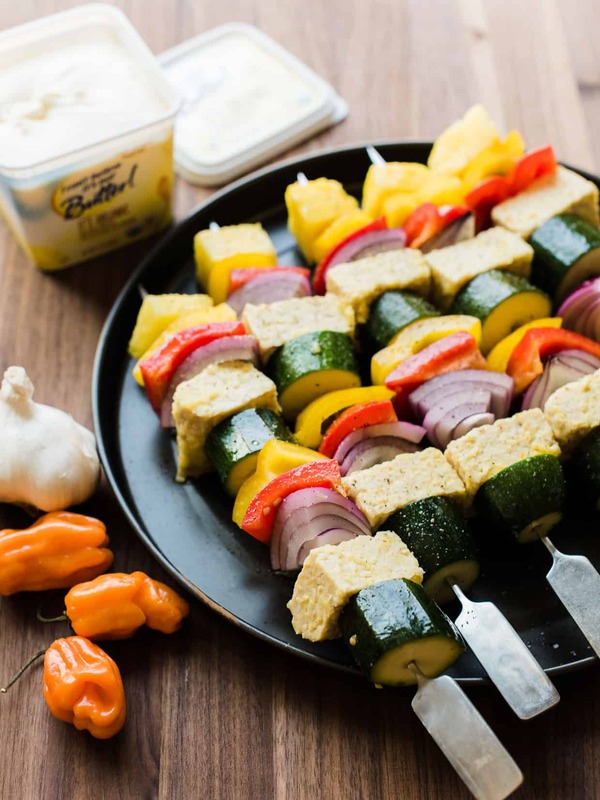 Thread the vegetables and tempeh onto skewers. Brush with the melted I Can’t Believe It’s Not Butter! It’s Organic onto the skewers and season with salt and pepper. Preheat the grill (or broiler) to medium-high heat and lightly oil the grates. Season the vegetable skewers with salt and pepper. Grill for about 10-20 minutes on all sides, or until the vegetables are fork tender. 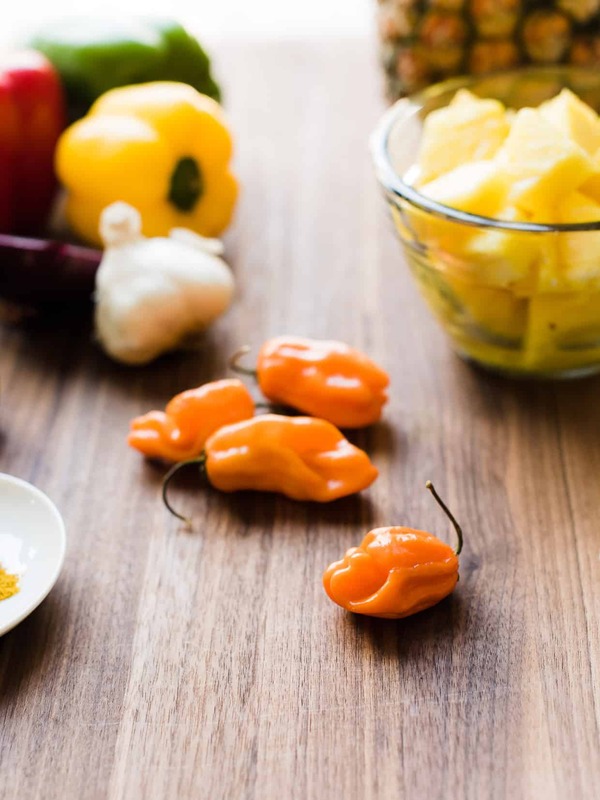 Garnish with herbs and serve with additional habanero pineapple sauce. If you want more heat, feel free to add an extra habanero pepper. Great! Excellent recipe! I think I should try this at home. It’s looking delicious and colorful.